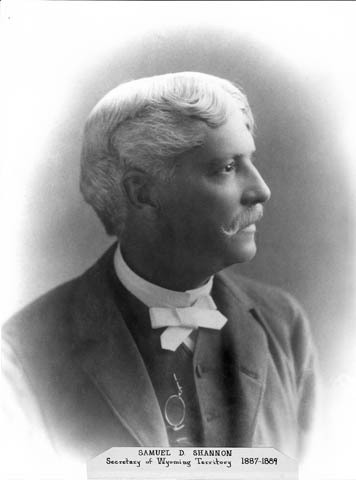 Probably the oddest Wyoming territorial official was Samuel D. Shannon, secretary of territory from 1887 to 1889. It is not odd that he was a secretary of the territory. What is odd is that he was appointed. Many of the territorial administrators worked their ways into political prominence, were successful businessmen or lawyers, or had served in the Union Army during the Civil War. Not so for Shannon. Shannon’s background was anything but admirable, and he had served with the Confederate Army. Samuel Davis Shannon was born in May 3, 1833 in Camden, South Carolina. During the Civil War he was a staff member to General Richard Anderson. A handsome man with a magnetic personality, he had many friends and was a well-known womanizer. During the war, he married Elizabeth Peton Giles of Richmond, Virginia. The marriage was short-lived. She divorced him on the grounds of non-support. Another account states that he applied himself in respectable work and eventually became a journalist in Charleston. Declining health forced him to move west. Shannon settled in Denver and then moved to Cheyenne, where he quickly became well known and had a large circle of friends. Both accounts warrant closer historical scrutiny. What is known is that opportunity brought Shannon to Wyoming. On February 28, 1887, E.S.N. Morgan resigned as territorial secretary of state for Wyoming. Governor Thomas Moonlight, who had been appointed territorial governor in late January, relied heavily upon Morgan for guidance and support. Despite their political differences, the two men had a good working relationship. With Morgan gone, who would the President appoint in his place? In March, Moonlight learned that Shannon was on the list of possible replacements. Shannon was reportedly in Washington DC, though what he was doing there is not entirely clear. 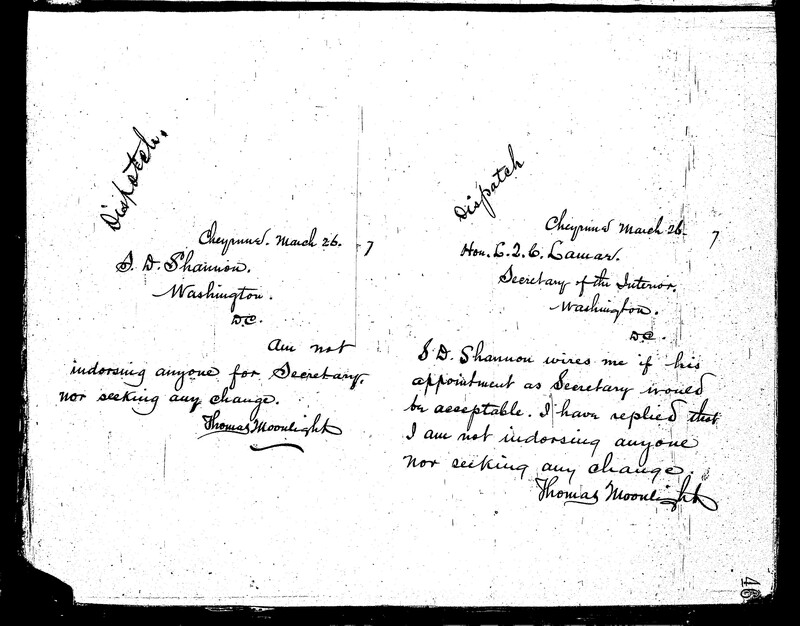 Writing to Shannon, Moonlight stated that he would not endorse anyone nor did he feel a need to do so at the time. In other words, Moonlight was not going to have any input or say as to Morgan’s successor. The decision would rest entirely with the President. Governor Moonlight’s terse note to Shannon stating that he “was not looking for a change.” He then also wrote to the Secretary of the Interior with the same. Later, Moonlight would send a longer letter to “My Dear Major” explaining that he felt he needed to be impartial and if he had said the appointment was agreeable to him it might be construed as showing favor. On April 9, 1887, President Grover Cleveland appointed Shannon as territorial secretary of State. Shannon left Washington, D.C. and no sooner had Morgan vacated his office, than Shannon took his place. Unlike his predecessor, E.S.N. 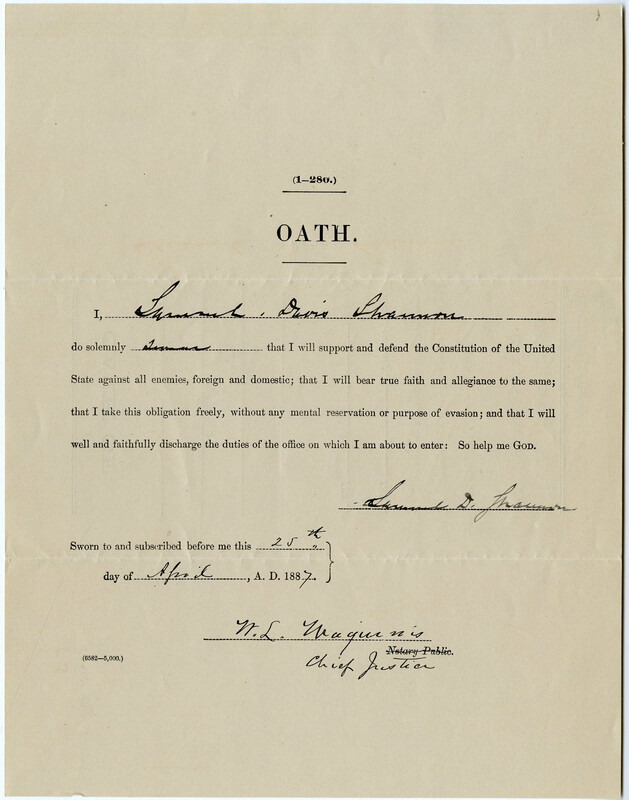 Morgan, Shannon was not required to swear a form of the “Ironclad Oath”, a part of which stated that “…I have never voluntarily borne arms against the United States since I have been a citizen thereof…” This oath, adopted by Congress in 1862 for all Federal employees, was a stumbling block for former Confederates in politics. Despite strong presidential opposition, the law persisted until 1884 when it was finally repealed. Shannon proved to be a good choice. He was competent and diligent. In addition to his statuatory duties, he served as territorial immigration agent, promoted Wyoming’s resources, and favored statehood. Shannon left office on July 1, 1889, and returned to his old southern stomping grounds, where he once again relied upon the generosity of his friends to see to his welfare. Due to poor health, he was eventually placed in the Soldier’s Home at Pikesville, near Baltimore, where he died on September 13, 1896. He was buried in his home of Camden, South Carolina. 1. “Capt. Samuel D. Shannon memorial,” FindAGrave.com. 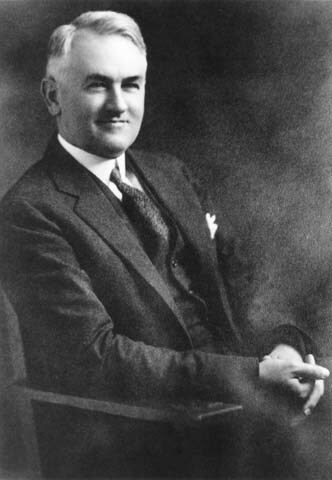 William B. Ross was born in Dover, Tennessee on December 4, 1873. He attended Peabody Normal School in Nashville. He moved to Cheyenne in 1901 and soon developed a successful law practice. Ross had met Nellie Tayloe, of a prominent Nebraska family, in Dover while she was visiting family. They married in Omaha in 1902 and made their home in Cheyenne. They would have four children. Ross was a member of the Episcopal Church, a Mason, and a member of the State Board of Law Examiners. He was also a charter member of the Young Men’s Literary Club, founded in 1902. Ross served as prosecuting attorney for Laramie County from 1906 to 1907 and campaigned unsuccessfully for Congress in 1910 and for Governor in 1918. Ross, a Democrat, again campaigned for the office of Governor in 1922 and was nominated by his party. In the general election he benefited from a divisive Republican campaign between incumbent Robert Carey and John W. Hay of Rock Springs. Carey was well liked, but many voters felt more should be done to reduce taxes and Hay took advantage of the poor economic climate. Hay won the primary election by a fairly narrow margin. Ross won the general election by 723 votes, apparently benefiting from crossover voting by Carey supporters and stronger prohibition views. The new Governor addressed prohibition, which had been law since 1920, in his address to the legislature: “In order to secure enforcement,” said Ross, “It is necessary for the Executive to have the power to remove any officer who fails to discharge his full duty in this regard.” Although there were incidents of egregious zeal in the enforcement of prohibition law, local officials were more likely to ignore violations. Governor Ross feared that violation of the law was “breeding contempt for all laws.” In 1923 he recommended imprisonment for first offenders, but stiffer penalties made jury convictions less likely. During his time in office Ross brought about the resignations of two elected county officials for failure to enforce prohibition law. Fremont County Sheriff Frank Toy was accused of failing to enforce prohibition laws and received a hearing in front of Governor Ross. Sheriff Toy later resigned. Republicans controlled both houses after the 1922 election, but Ross, stressing strict measures to meet a national economic crisis, got along well with the Republicans. He favored consolidation of state departments, and emphasized the need for the state to live within its income. He also supported a prepared military ready to be called on if the international situation warranted. 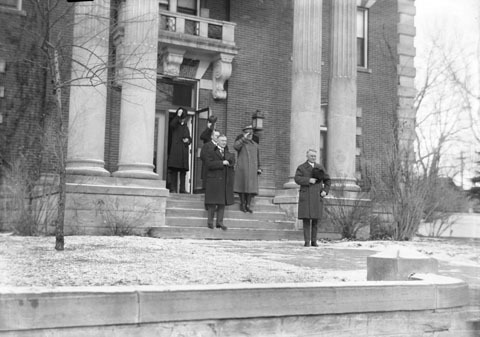 Governor Ross supported a strong US military in light of the nation’s reticence to join the League of Nations. As the 1924 election approached, Ross, known for his eloquent speeches, stumped for an amendment to the state constitution to allow for the collection of a severance tax on oil to increase state revenues. After speaking in Laramie on the topic on September 23, Governor Ross became ill with acute appendicitis. Surgery was performed on the 25th, but the Governor did not recover. He died on October 2, 1924. Secretary of State Frank Lucas served as Acting Governor for the last few months of the year. The office of Governor was added to the 1924 ballot and Nellie Tayloe Ross was elected to succeed her husband as Governor, becoming the first woman to fill that office in the United States. Wyoming residents did not approve the severance tax amendment for which William Ross had fought. A significant percentage of people who voted on the amendment (39,109 for to 27,795 against) favored its adoption. However, many of the 84,822 voters did not cast a vote on the issue, so the needed majority of electors was not achieved. The official records of Governor William B. Ross in the Wyoming State Archives are relatively scant. 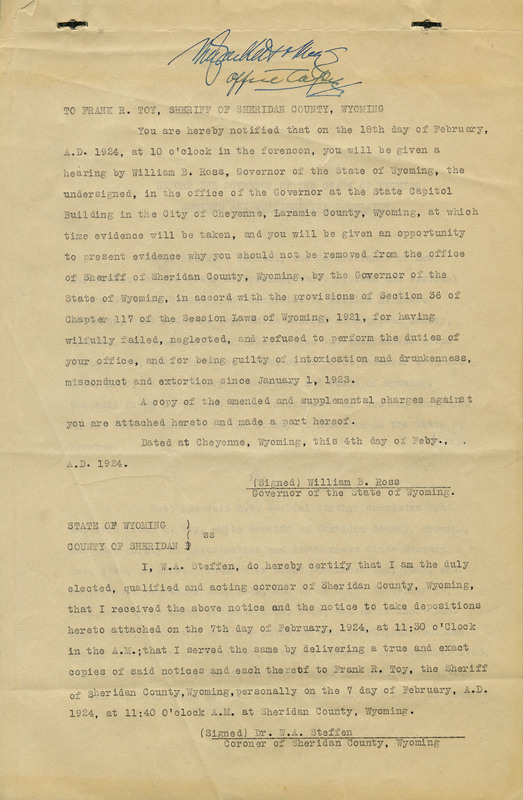 The collection consists of a few files of correspondence, records of appointments, requisitions and extraditions, and a several miscellaneous documents.